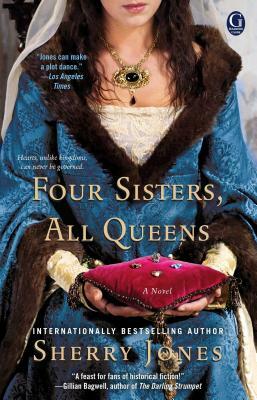 Amid the lush valleys and fragrant wildflowers of Provence, Marguerite, El onore, Sanchia, and Beatrice have learned to charm, hunt, dance, and debate under the careful tutelage of their ambitious mother--and to abide by the countess's motto: "Family comes first." With Provence under constant attack, their legacy and safety depend upon powerful alliances. Marguerite's illustrious match with the young King Louis IX makes her Queen of France. Soon El onore--independent and daring--is betrothed to Henry III of England. In turn, shy, devout Sanchia and tempestuous Beatrice wed noblemen who will also make them queens. Yet a crown is no guarantee of protection. Enemies are everywhere, from Marguerite's duplicitous mother-in-law to vengeful lovers and land-hungry barons. Then there are the dangers that come from within, as loyalty succumbs to bitter sibling rivalry, and sister is pitted against sister for the prize each believes is rightfully hers--Provence itself. Author and journalist Sherry Jones is perhaps best known for her controversial debut novel, the international bestseller"The Jewel of Medina, " a novel about the early life of the Muslim Prophet Muhammad s favorite wife, the most famous and influential woman in Islam. When she s not working on her next books, Ms. Jones is traveling the world, speaking and writing about free speech, censorship, Islam, and women s rights."